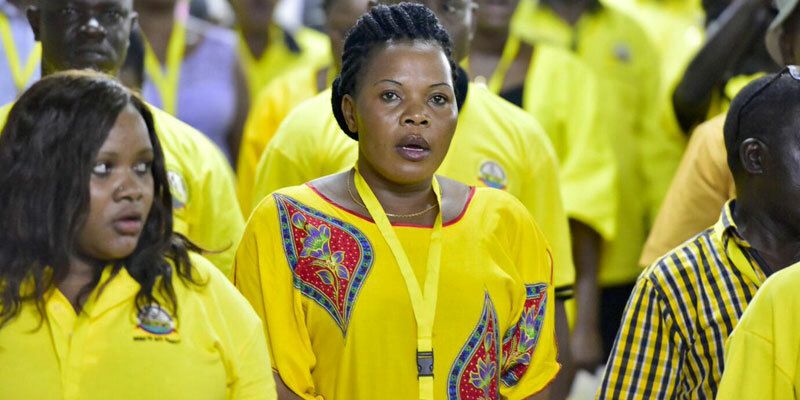 KAMPALA – Members of NRM caucus have been summoned by the Government Chief Whip Ruth Nankabirwa to discuss several issues raised during the Kyankwanzi retreat in March. Key among these deliberations shall shed light on the contentious Administration of parliament Amendment bill at a meeting scheduled Wednesday, April 3, at Parliament. While meeting the executive members of Uganda Parliamentary Press Association on Tuesday, April 2, at the Office of the Prime minister in Kampala, Ms. Nankabirwa revealed that it’s important for her to meet the members prior to meeting the Legal and Parliamentary Affairs Committee of Parliament. In February this year, Kabale Municipality MP, Aja Baryayanga, tabled the Administration of Parliament Amendment Bill 2018, which seeks to change the way Members of Parliament choose people to hold a number of positions like the Leader of Opposition, parliamentary commissioners and Committee Chairpersons. The Administration of Parliament Amendment Bill recently received mixed reactions. She said that during the meeting, Works and Finance ministers are also expected to attend to iron out some issues.